Research has demonstrated a correlation between our eyes glutathione levels and eye disease. Are you concerned about loosing your vision? Do you have or have you been diagnosed with one of the common eye diseases? Can glutathione be a cure for many common eye problems? Our eyes are too precious to take chances with. It cannot be emphasized enough that we need to consult with those doctors and health care professionals who are trained and experienced in the treatment of the human eye. The studies of our eyes glutathione center around two major disease processes. Glaucoma and macular degeneration. Other eye problems considered in the field of ophthalmology range from cataracts to dry eyes and red eyes. A number of companies produce vitamins and minerals designed to promote eye health. Some testimonials claim wonderful results. Our purpose is not to refute or support those studies. Rather, we would propose a heath and wellness program that would not only help the eyes, but the whole body. If you were to take all of the vitamins and minerals offered by the market in combination, there would be a risk of accidental overdose. Vitamins A, D, E and K can cause serious problems if you take too much, if you are on certain medications of if you have certain conditions. It would most likely be prohibitive. What if instead of taking numerous vitamins and minerals for numerous problems you took only one supplements that enhanced any and all forms of nutrition. This includes the nourishment from foods as well as supplemental vitamins. This is exactly what glutathione does. It helps all your body systems work better. It also helps all the antioxidants inside you to work better. It turns out many of the other vitamins and minerals we need actually help produce glutathione or work better with glutathione. Before moving on to the eyes, you should know that you cannot benefit from taking oral glutathione. You can only take the building blocks. Here is the best news. You can get it for free if you eat the right foods prepared the right way. Before looking at which foods and how to boost our glutathione (GSH), what is the importance of our eyes glutathione? What does our eyes glutathione have to do with glaucoma? The quick answer...studies show a correlation with glutathione levels and most eye disease processes including glaucoma. Additionally a study demonstrated that by elevating eye glutathione levels benefited the patients in two ways. It seems the eyes glutathione levels when elevated decreased the pressure. Additionally it was reported to lessen the side effects of the drug given. Glaucoma is actually a group of diseases. It affects the optic nerve and results in loss of the retina ganglion cells. This cellular loss results in vision loss in a typical pattern. The most commonly known risk factor is elevated interocular pressure. Untreated it will lead to visual field loss and then progressively blindness. Please note the word untreated. The only way to tell if you have elevated pressure is to go and see an eye doctor or health care professional (by professional we mean licensed in the field of care and not a nature path holistic vitamin shop counselor). This is important as it is the second leading cause of blindness world wide. Estimates are that one in 200 under 50 and 1 in 10 over the age of 80 are affected by glaucoma. Even children are not immune as those under the age of 5 are considered at high risk with 1 in 50 being diagnosed with early stages of the disease. Macular degeneration mostly found in the elderly is a condition where the center of the inner lining of the eye suffers thinning, atrophy, and sometimes bleeding. This causes the loss of vision in the center of our visual field. It also makes it difficult to read or even recognize faces. It is thought to be the leading cause of blindness in those over 50 years of age. Advanced age related macular degeneration is referred to as wet and dry. The dry form is a result of the atrophy of the retinal pigment epithelial layers below the retina. There is not medical treatment for this condition. However studies suggest high doses of antioxidants, Lutein and Zeaxanthin and vitamin supplements have been shown to slow the progression and improve visual acuity. The wet form of advanced AMD results from abnormal blood vessel growth that causes blood and protein leakage below the macula. This eventually results in irreversible damage if not treated. The Age-Related Eye Disease Study, a clinical trial sponsored by the National Eye Institute found that a combination of high-dose beta-carotene, vitamin C, vitamin E and zinc can reduce the risk of the AMD advancing in about 25% of patients that were treated in earlier but significant forms of disease progression. A follow up study to look at the potential benefits of lutein, zeaxanthine, and fish oil, is currently underway. Macular Degeneration Glutathione Levels are decreased as part of the disease process and aging. What can be done to improve eye health, decrease risk, and slow disease progression? GSH, the bodies master antioxidant not only helps those other antioxidants work better, it does what they do better at the cellular level. One study showed that lower GSH levels were associated with disease progression and high levels were associated with healthy eyes. It has been hypothesized that by increasing GSH levels could serve as a protection or even delay this disease from progressing. Our eyes glutathione levels and the macular degeneration correlation deserve more investigation. What are the eye disease risk factors? How are they treated medically? How are they treated surgically? What happens to GSH levels in the disease process? 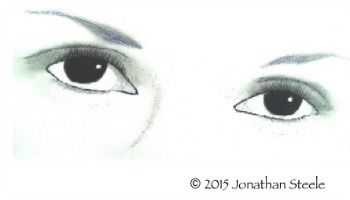 What results from boosting our eyes glutathione levels? These questions are a few of the many reasons it is important to see an eye doctor. Building our eyes glutathione level is only part of the process of eye health and wellness. Would I go to the Eye Doc or Not? Many have reservations about going to the doctors office for various reasons. This is one doctor you need not fear. These are, of all the doctors I have worked with, the most compassionate and considerate. In some cases they are the most knowledgeable and innovative. One eye doctor I worked with I met during his residency. He was the emergency room doctor (the eye doc you go to is probably also a MD) the night I was called in as a patient advocate. He was very knowledgeable of Bloodless medicine, my specialty. At the time, fewer than one in ten doctors even knew what it was. Consider another who had the nickname Dr. Gadget. He worked at Johns Hopkins in Baltimore, Maryland, USA. Several years before you heard of it in the news, he had created the beginning of a bionic eye. A computer chip placed on the back of an eye of a patient who was blind. The patient had the sensation of light. These doctors opened doors. The point is, these are the best of the doctors you will find. You can trust them. The only thing you need is to get a referral from a friend who also feels comfortable with them to quell any fears you may have. Macular Degeneration touches on the importance of GSH to the eyes. Glaucoma and glutathione shows the protective value of GSH in your eye health. If you should self treat, you should still consult with an eye doctor. You only get one set of eyes and you cannot risk a mistake. Only a doctor can measure the benefit of any treatment plan you undertake. What Is Glutathione? Learn what it is and how it helps you. Guide to Boost Your Glutathione A guide of the foods and supplements to help you get the best eye health.